When it comes to bourbon, there is no better place for a tasting itinerary than Kentucky, where 95% of the world’s bourbon is made. This is what made the Bourbon Trail the famous tour that it is today. The Kentucky Bourbon Trail (KBT) is an exploratory trip across bourbon distilleries located within 80 miles of Louisville, Kentucky. Every year, hundreds of thousands of visitors troop in to learn about the origins of bourbon and treat their palates to lots and lots of bourbon whiskey. Not a bad way to spend a long weekend, even if you only have a passing fancy for whiskey. What Makes Bourbon so Different? Located on Main St, Louisville, Angel’s Envy craft is the perfection of distillation at it’s finest. Pumping out at least eight to twelve barrels at a time, their hand blended batches are as a result of over centuries-old tradition. Angel’s Envy bourbon is finished in a ruby port cask and the rye in a rum barrel. While you’re here, be sure to get a taste of their cask strength bourbon finished in Port Barrels. The Angel’s Envy distillery is one trail distillery you wouldn’t want to miss. 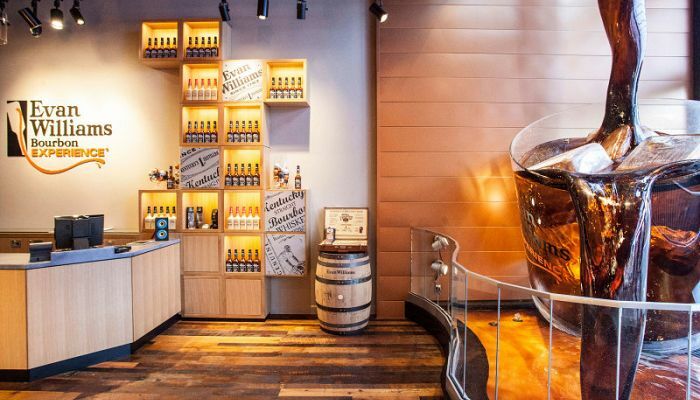 When stopping by the Evan Williams bourbon experience located in Whiskey Row, Louisville, you are treated to three tasting options — the traditional tour and tasting; savoring a premium selection of bourbon; and the sweet and neat with a chocolate and whiskey pairing. There’s always something for everyone who visits the Evan Williams Bourbon distillery, with flavors ranging from the Kentucky straight bourbon to the Egg Nog. Jim Beam ranks quite high as a destination on the trail thanks to its special distillation process. Jim Beam is distilled twice then aged for four years in virgin oak barrels. 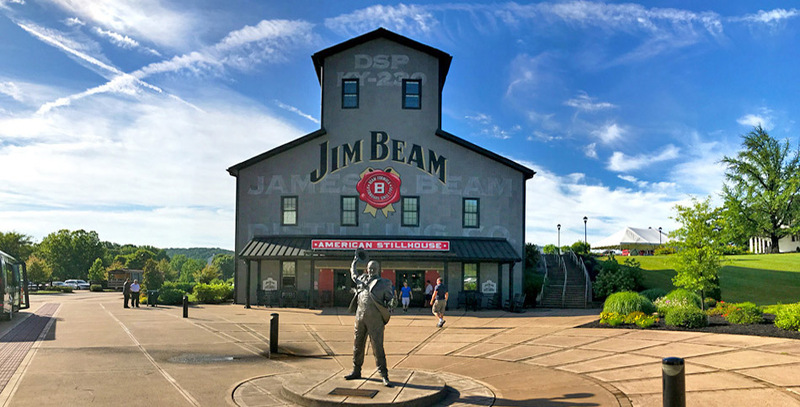 Perhaps that’s the reason why many consider a bourbon tour to be incomplete without a stop at Jim Beam’s distillery to appreciate their distilling perfection and experience a slice of American history. Jim Beam is also involved in more than just making bourbon, they also have a food line, from coffee beans to beef jerky. The Bulleit Distilling Company was established in 1987, but the recipe has been around much longer than that. According to legend, Augustus Bulleit began distilling rye whiskey back in 1830 and after several experimental batches, came up with a unique bourbon. He distilled for 30 years afterward, then one day loaded up a truck full of barrels and headed to New Orleans. That was the last time he was seen. His great-grandson, Thomas E Bulleit Jr started the company and the brand till date and is alive and prosperous. Bulleit rye whiskey is widely known for its straight rye whiskey made from 95% rye and 5% malted barley. Heaven Hill is known as one of the largest suppliers of spirit in the United States and the largest independent family-owned, operated marketer and producer of distilled spirits in the country. The brand originally began as Old Heaven Hill springs in 1935, but their name was changed to Heaven Hill brands in 2004. Their impressive array of bourbon whiskey is sold in over 40 countries today. This brand started out as T.W Samuel & Sons Distillery before it was eventually sold. Bill Samuel Jr. then reinvented the family recipe and rebranded the resulting liquor to Maker’s Mark. Since the first bottle was sold in 1958, Maker’s Mark has been known for putting its iconic wax seal on all the bottles produced. Till date, all the bottles produced are still hand-dipped and contain the signature mark. When on the Kentucky bourbon trail, do stop by the distillery to get an up close and personal look at the old traditions of bourbon-making and don’t forget to savor the bold flavors of Maker’s 46 while at it. Located in Lawrenceburg Kentucky, Four Roses delivers 10 unique bourbons that are worthy of the name. The distillery was established in 1888 and is the only distillery to use five proprietary yeast strains and two separate mashbills till date. One of the mashbills with 60% corn while the other with 75% corn. 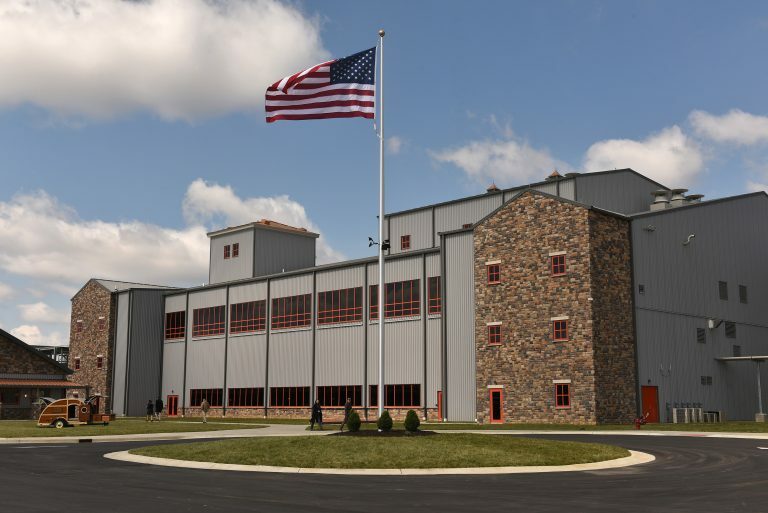 Four Roses are unique in the sense that they are the only distillery to use single story barrel warehouses with temperatures varying about 8 degrees Fahrenheit which allows for a better maturation process. They also use only quality, non-GMO grains. 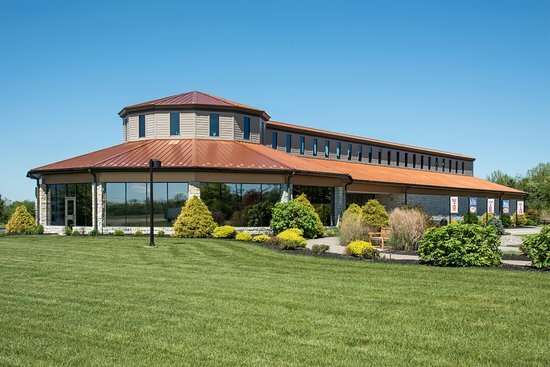 With two stops along the Kentucky bourbon trail – their warehouse and bottling plant and their distillery, you can be sure of a grand experience accompanied by some of the best-tasting bourbons on the planet. Boasting a distillation tradition from before the Prohibition era, Wild Turkey is renowned for its line of premium whiskeys, all of which are aged five years and above. Situated in Lawrenceburg Kentucky, the brand is named after Kentucky’s famous wild turkey hill and is open for tours year round. Be sure to drop by during your tour and experience a taste of wild turkey’s finest. Located in Versailles, Kentucky, Woodford Reserve Distillery is one the oldest and smallest distilleries in the country. They pride themselves on actively conserving nature by joining the Kentucky chapter of the Nature Conservancy and have planted over 400 trees on their property, so you can look forward to some lush scenes as you sip on the good stuff while there. They are one of the only distilleries in the world that make use of heat cycled barelhouses and are an award-winning brand for their finished products. The Town Branch Distillery is located at Alltech Lexington Brewing & Distilling Company. Though it was founded in 2012, their recipe dates back centuries. They also produce beer so feel free to drop by for a pint and a shot all in the same spot. You can get a Bourbon Trail Passport at the first distillery on your tour. You will find all ten distilleries listed inside the passport with space for stamps from each distillery visited along with some extra space for your personal notes. Collect all ten stamps for Kentucky Bourbon Trail T-shirt. Keep in mind, however, that tours last around an hour at each stop, but you must also consider the driving time between each distillery. 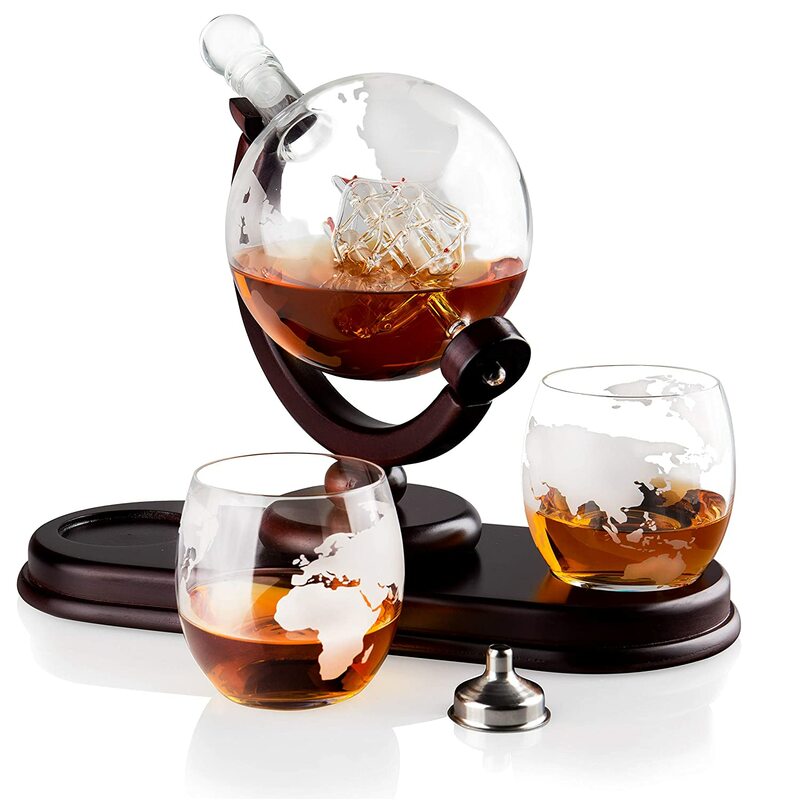 As such, if you plan to tour all ten distilleries, then prepare to spend around three days. This way, you can have a richer experience without feeling rushed. The distilleries on the Bourbon Trail are open throughout the year, but the worst time to visit is summertime since it is the busiest time for them. Moreover, whiskey will not usually be distilled during this period since only distilleries with active temperature control can distill during the hot months. Of course, if you’re only in it for the tasting, then feel free to quench your bourbon thirst, but don’t expect to see the distilling process in action at those distilleries. The best time to visit is in the fall and spring months when bourbon is in full production and the weather is not so harsh. In addition to witnessing the distilling process, the rich pleasant aroma of the bourbon wafts through the air transports you to a whole new world. There is more to the Bourbon Trail than just touring the distilleries and tasting excellent bourbon. To embark on this scintillating journey is to take a step back in time and learn about the history of Kentucky, as well as feast your eyes on scenic bluegrass and horse farms stretched across the horizon. Indeed, the Bourbon Trail is an experience for all five senses that deserves a top spot in your travel bucket list.